My second spooky babe of the week is Miss Betty Quirk! 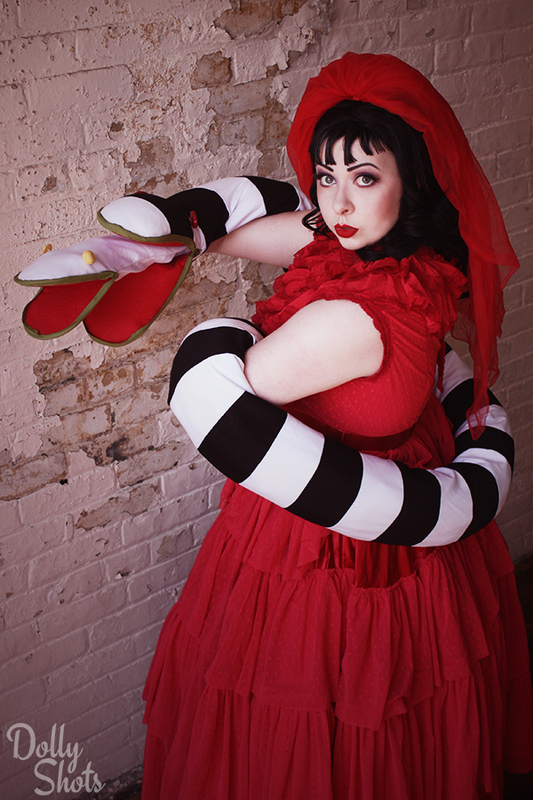 Burlesque performer and Co-Producer of Peepshow TO, Betty Quirk has been thrilling audiences with one of her signature acts as Lydia Deetz from Beetlejuice. I finally had the chance recently to capture some photos of her in this phenomenal costume with her Sand Worm hand puppet. If you want to see Betty perform this act and others, you can catch in her Yellowknife on Halloween at the Movie Madness Burlesque Show. Now please enjoy these photos of Betty Quirk as Lydia Deetz!